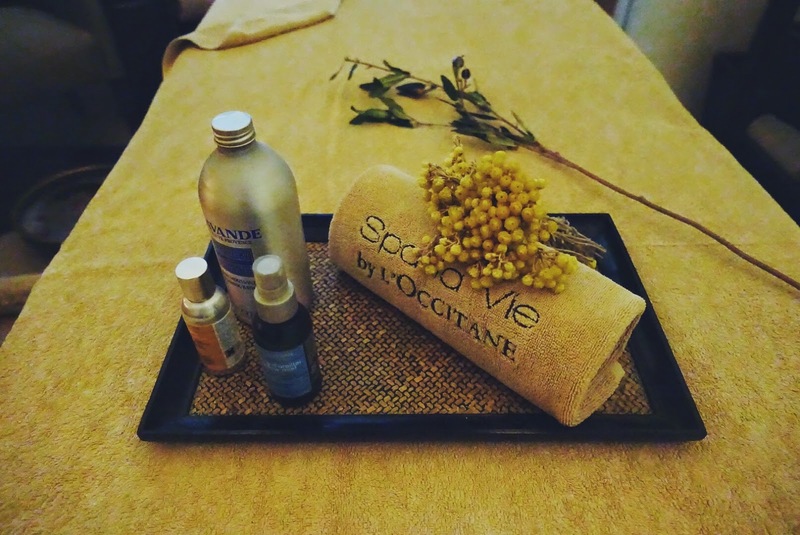 Most of you must be familiar with the French brand L’Occitane (pronounced LOX-EE-TAHN) but did you know that they also have spas around the world? 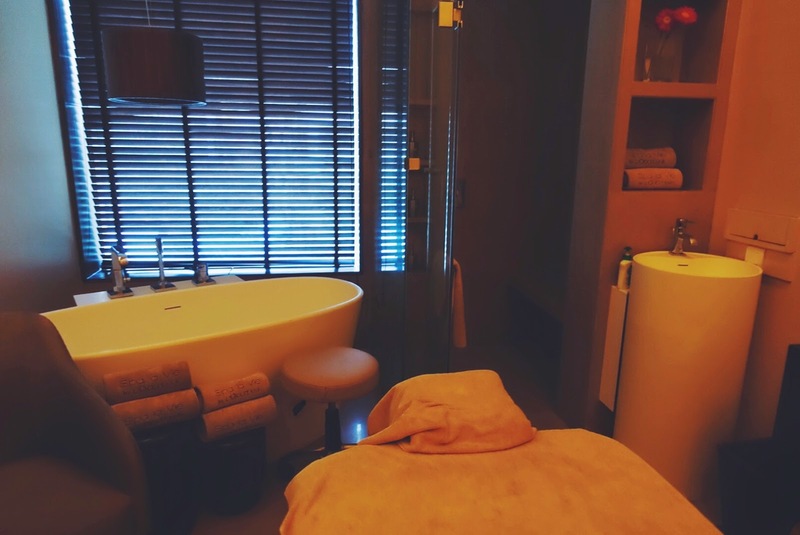 Their Mumbai outpost, Spa La Vie is an 8,000 sqft Mediterranean luxury spa in Lower Parel. With an expansive area at their disposal, the spa is Mumbai’s largest day spa and also Mumbai’s first true international day spa. 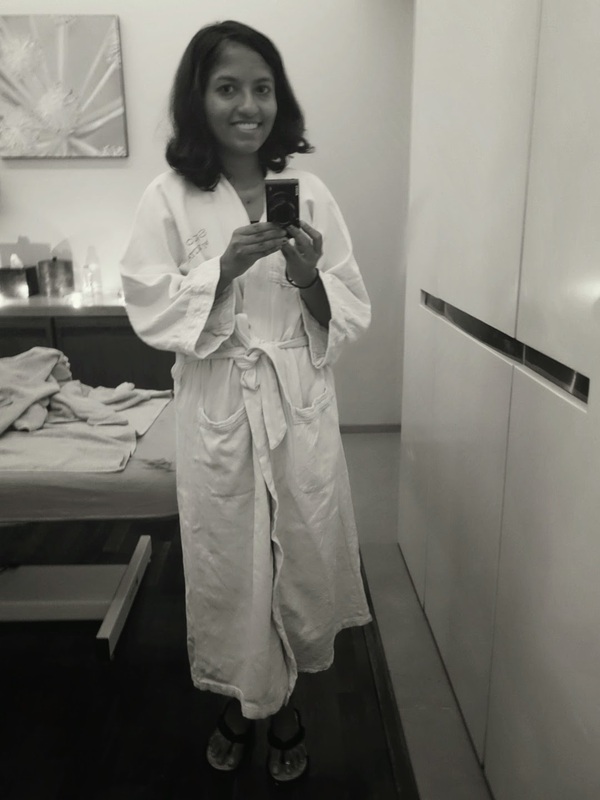 A couple of weeks ago I was invited to visit Spa La Vie & since it’s not very far from Lower Parel station, I decided to walk there as I figured that a nice brisk walk was a good precursor to a massage. The Spa itself is a freestanding building located just off a quite cul-de-sac. I loved all the beautiful natural light streaming into the entryway through the glass. I met with the people at the reception who gave me a form to fill out detailing my lifestyle choices & any health concerns I may have. 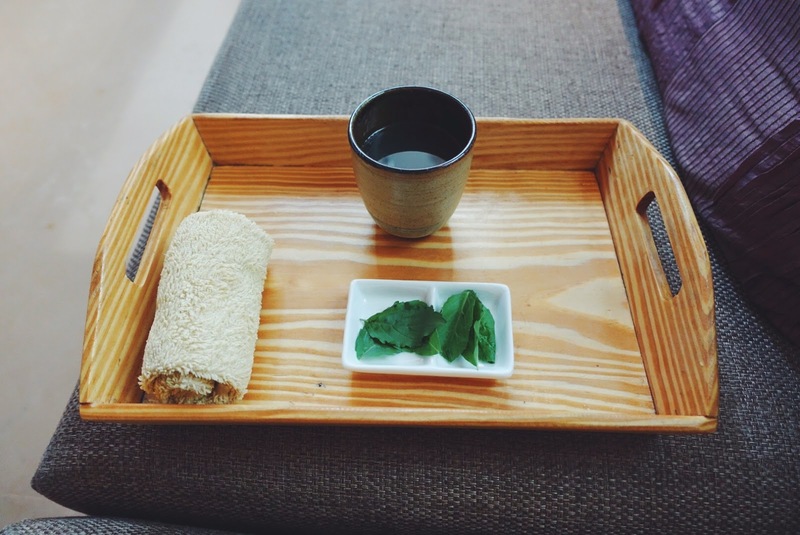 I then met the therapist who would be doing my treatment that day, she was warm & friendly & brought me a honey, ginger, lime & holy basil (tulsi) tea, a combination known to detoxify along with a cool, wet towel. 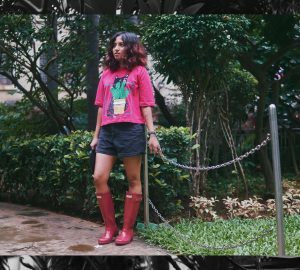 When I was done with the filling & sipping, she came with another tray for me to change out of my Keds into Osho chappals & then I was led to my room upstairs. I opted for the Relaxing Aromachologie massage, a full body massage that used Swedish strokes, Chinese acupressure & Balinese massage techniques to stimulate circulation & relieve tension. The main essential oils used were Lavender, tea tree & geranium, a combination I knew I would love as soon as I heard it. My room was wonderfully decorated & created the perfect ambiance for the relaxing massage that was to follow. I was provided a safe cabinet to keep all my belongings & asked to change into disposal undergarments & a bath robe. I was asked to lie face down on the massage table while the area was spritzed with lavdender pillow mist, one of my favorite products from their range. I asked the therapist to concentrate on my neck & upper back, as that’s where I carry all my tension thanks to long hours spend hunched over my laptop in bed. I remember thinking at the start of my massage that I’m glad I had a good sleep the night before, otherwise I would surely nod off during the massage & nevertheless towards the end of it, I dozed off anyway, let that be a testament to how relaxing it was. After my hour long massage was over I was given the option of taking a shower or bath but my therapist suggested I don’t so the oils have a chance to get absorbed. I absolutely loved the experience & for me the only deterrant to going more often would be the price, as a luxury spa it’s on the steep side. But you get what you pay for & I’d wholeheartedly recommend the place to anyone, perfect to #treatyoself! You can read more about Spa La Vie on their website & also keep up with their updates on facebook & twitter. Three Reasons Online Shopping is Better!